Google-owned Nest announced multiple new products during a media gathering earlier today in San Francisco including its first branded wireless home camera and a revised smoke and carbon monoxide detector. If you recall, Nest acquired security camera specialist Dropcam last year for $555 million. The first true product to come out of that acquisition is Nest Cam, a home security camera that can record a 130 degree wide-angle view at up to 1080p resolution (Dropcam’s best camera could only muster 720p quality). 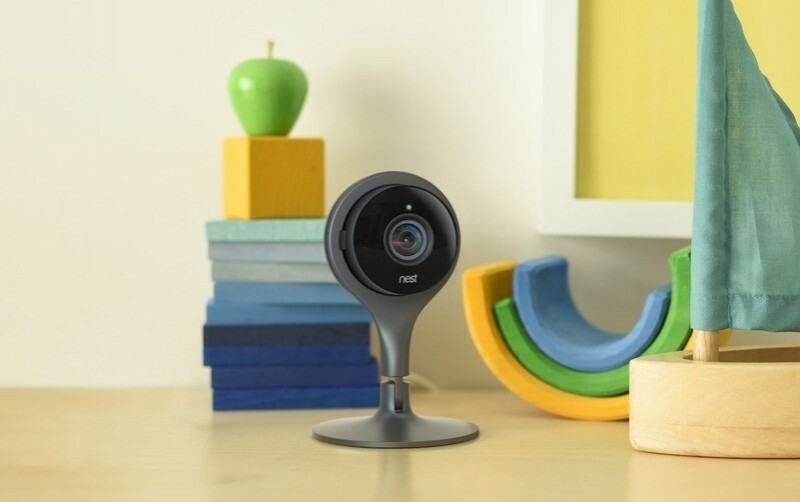 Nest Cam is said to feature improved low-light capabilities as well as a better zoom. Its exterior, available in black or white color schemes, is rounder, friendlier and smaller, says Head of Nest Hardware Product Marketing, Maxime Veron. Nest also unveiled its second generation smoke and carbon monoxide detector. Nest Protect 2.0 looks much like the original but according to CEO Tony Fadell, the unit has been redesigned from the inside out. It features more advanced sensors that are able to determine the difference between a slow and fast-burning fire. Nest Protect 2.0 can also send alerts to your smartphone and will speak up if it detects danger, even letting you know what room it’s in. The Google-owned company said its existing products would soon be receiving over-the-air updates to bring added functionality and features to the original Protect and the Nest thermostat. Nest Cam is available as of writing for $199. The second generation Nest Protect, meanwhile, will launch next month at a price of $99.